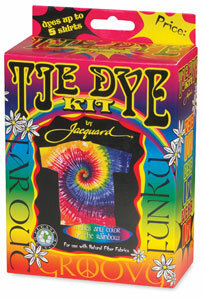 Dye up to 8 pounds of cotton fabric, with vivid, electric Procion MX Fiber Reactive Dyes that are so colorfast they can be washed with the daily laundry. Message: How long would it take to get 6 dozen tie dye kippahs to Canada and what is the cost? What is the extra shipping/handling cost? I am not selling dyed items myself these days, but I can direct you to where you can get more information. 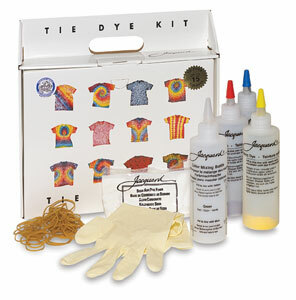 To get them tie-dyed professionally, you can contact one of the dyers listed in the second chart of my page, “Where can I find someone to dye my clothing for me?”, or you can search on Etsy.com for a custom tie-dyer. For example, as I write this, the shop “inspiringcolor” on Etsy shows one tie-dyed kippah with an invitation to contact them for special quantity orders. This entry was posted in sources for supplies on October 3, 2014 by pburch. I’ve done a fair few tie-dyed kippah, including 2 dozen (with matching socks LOL) for a backyard wedding in Canada. The buyer actually had me post them to a US address just over the border and picked them up there, but I’ve not found shipping to Canada in general to be too cost-prohibitive.